Corning's Gorilla Glass is everywhere these days, sitting on top of most smartphone and tablet display panels, protecting them while being quite sturdy in the process. There's also the less used Dragontrail Glass by Asahi, also boasting impressive toughness. Soon though these two may be joined by a similar offering from none other than Samsung. The company has filed for a trademark for Turtle Glass with the relevant authority in its home country of South Korea. 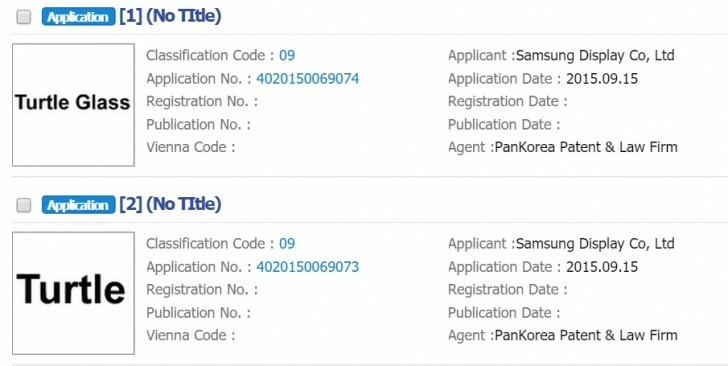 The application for the trademark apparently states that it will be used for a protective tempered glass designed for phones, tablets, music players, cameras, and so on. Samsung's been one of Corning's biggest customers so far, so if it is indeed going to start using its own solution in the future, it will be interesting to see in what position that will put the maker of Gorilla Glass. As for the name itself, a turtle's shell is very tough, so that's where the inspiration came from. The world of protective glass for mobile devices is thus filled with animals, real or imaginary - gorillas, dragons, and now turtles. While Samsung could of course be planning to use Turtle Glass on the Galaxy S7, it's also possible that this type of glass will be employed in the production of those foldable smartphones the company has recently patented. The first one of those is apparently codenamed Project Valley and we may see it hitting the streets next year.